Go find a froggle frog and put him in your purse or, pocket if you’re a guy. Put a little spit on your hand and pet him so he stays calm until you get home. Find an ice cream pail and dig a hole in the middle of the ice cream (this will be similar to a mud hole for him and he will enjoy it). Drop him in it along with a fly or knat, he is probably hungry now after travelling with you. 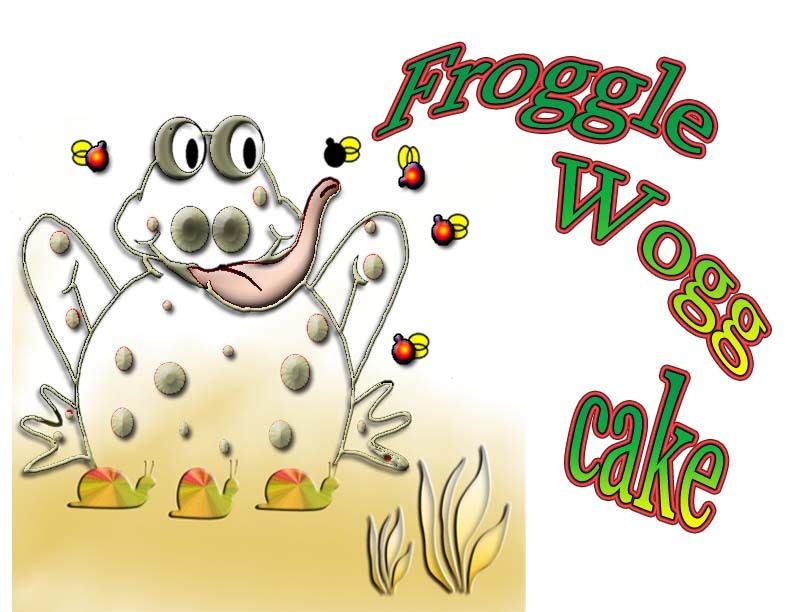 Now you can woggle him, I don’t know what woggle means but it seems to finish this recipe off pretty good. For a very short time I ran a bakery in my home. I love to bake as much as I love to design with my art. 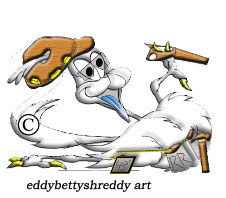 I use my cartoons to represent and decorate all my products. 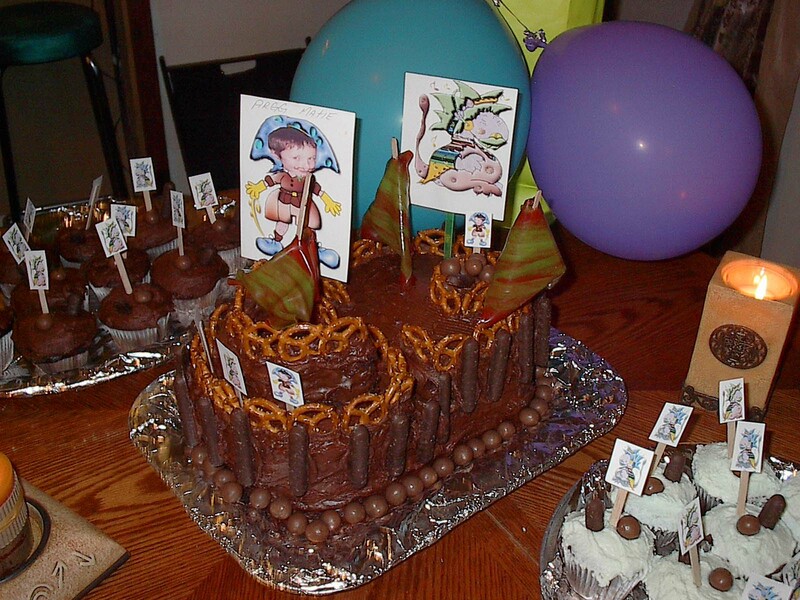 This was a request for a pirate ship theme birthday cake. Using a photo program I put the little guys face on my cartoon body. There is no secret recipe here, just a chocolate cake with butter cream icing.